Easy to redeem! 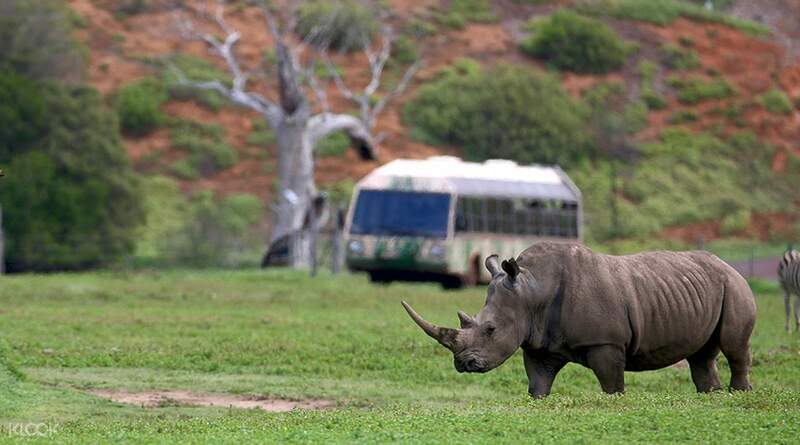 Reserved the seats for Off-road Safari to get way closer encounter to the animals. 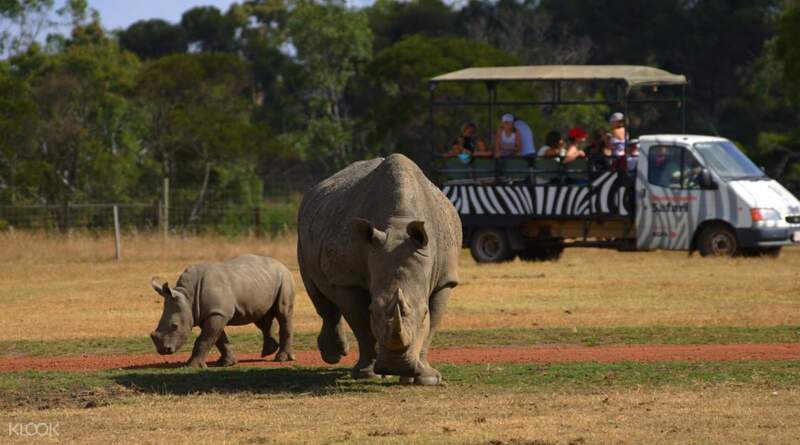 For a closer and more exclusive look at the wildlife of Werribee Open Range Zoo, book in for the Off Road Safari tour. You'll board an open vehicle which has been designed for maximum views of the Savannah, along with your guide and small group (up to 14 pax) you'll then head out on your 90 minute adventure. Going off road to ensure you get the perfect safari shot, your guide will share with you information about the wildlife you'll spot. From zebras to antelopes and giraffes, this safari is the closest encounter you will get to a real African wildlife in Australia! 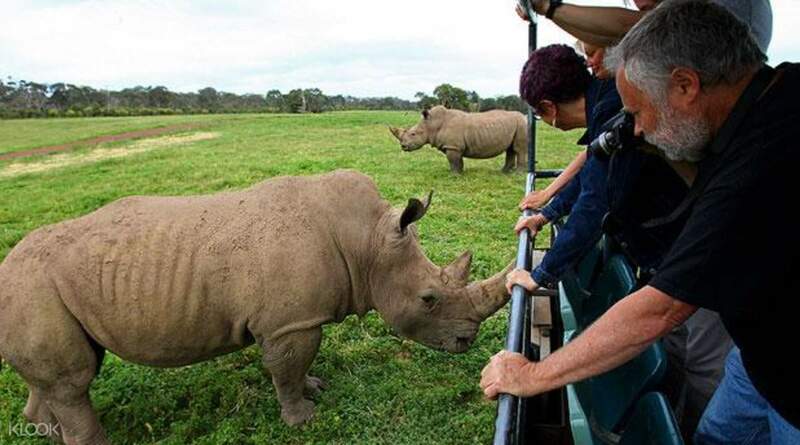 Check out this comprehensive zoo map to learn more about what Werribee Open Range Zoo! It was quite a unique way of getting close up with the animal in the safari off road ride. But when we reach the front desk counter to exchange ticket for admission. 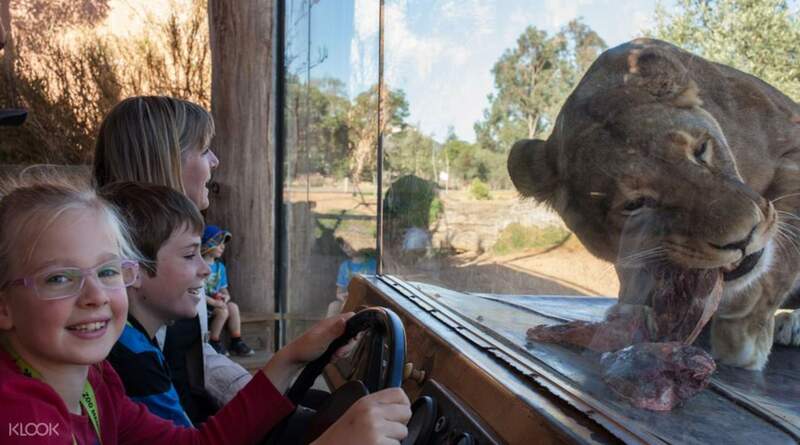 We were told by the Werribee staff that the KLOOK ticket we bought only cover 2 adults and 1 child for admission to the park and the off road safari ride only cover 2 adults. We have to TOP UP ANOTHER AUD $50 for my child to have the ride. I was puzzled and should Klook include the ticket purchased since I had indicated 2 adults and 1 child. Attached a receipt picture that I had paid in order to have my child access to the safari ride. It was quite a unique way of getting close up with the animal in the safari off road ride. But when we reach the front desk counter to exchange ticket for admission. We were told by the Werribee staff that the KLOOK ticket we bought only cover 2 adults and 1 child for admission to the park and the off road safari ride only cover 2 adults. We have to TOP UP ANOTHER AUD $50 for my child to have the ride. I was puzzled and should Klook include the ticket purchased since I had indicated 2 adults and 1 child. Attached a receipt picture that I had paid in order to have my child access to the safari ride. Purchasing our tickets via Klook was easy and fuss free! Saves us a lot of time and money! Open safari tour was nice thou i felt the tour was too Long. But it was a good chance to just sit back and enjoy watching the wildlife gaze around freely! Purchasing our tickets via Klook was easy and fuss free! Saves us a lot of time and money! Open safari tour was nice thou i felt the tour was too Long. But it was a good chance to just sit back and enjoy watching the wildlife gaze around freely! Despite the cold and rainy weather, the experience on the open range was AWESOME. Got to see animals up close and personal, and the ranger provided many insightful sharing pointers about them. Wish there could be alil more animals though. Despite the cold and rainy weather, the experience on the open range was AWESOME. Got to see animals up close and personal, and the ranger provided many insightful sharing pointers about them. Wish there could be alil more animals though. Awesome experience. We took the Off Road Safari & went on the private truck instead of the bus. I would say it's worth paying more to get on the truck with just 16 pax mex to get closer to the animals. Awesome experience. We took the Off Road Safari & went on the private truck instead of the bus. I would say it's worth paying more to get on the truck with just 16 pax mex to get closer to the animals. Easy to redeem! Reserved the seats for Off-road Safari to get way closer encounter to the animals. Easy to redeem! Reserved the seats for Off-road Safari to get way closer encounter to the animals. The off road safari was worth it. A must do if you have time to go to Werribee. The off road safari was worth it. A must do if you have time to go to Werribee. Glad that we are choosing the off road safari so that we can go closed to the animals (wild encounters). This place is so wide. Even it have less animals, i still love this place. The guide/ ranger are very knowledgeable and we get a lot of information about the animals that they have. Having so much fun on that day. Glad that we are choosing the off road safari so that we can go closed to the animals (wild encounters). This place is so wide. Even it have less animals, i still love this place. The guide/ ranger are very knowledgeable and we get a lot of information about the animals that they have. Having so much fun on that day. Wonderful experience. Only snag was booking through an American site and the booking was made for an American date not the Australian date and we found we had been booked on the next day but our ticket stated the correct Australian date (No indication it was American Date) Staff at Werribee Zoo were absolutely fantastic and fitted our tour in even though they were fully booked. Wonderful experience. Only snag was booking through an American site and the booking was made for an American date not the Australian date and we found we had been booked on the next day but our ticket stated the correct Australian date (No indication it was American Date) Staff at Werribee Zoo were absolutely fantastic and fitted our tour in even though they were fully booked. 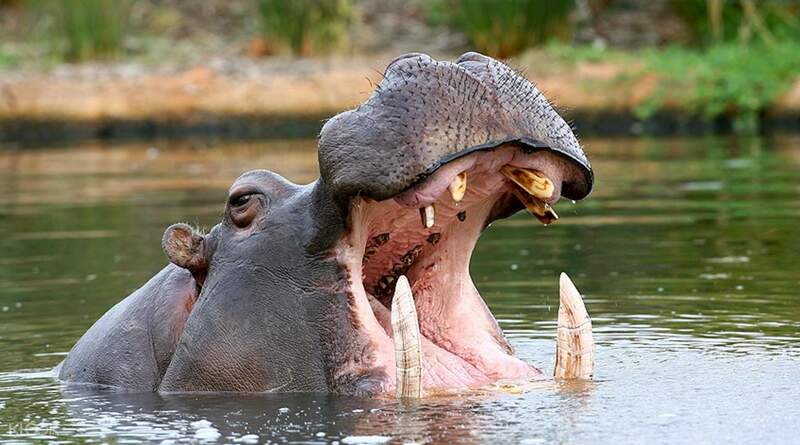 Great zoo with many animals, tried both safari bus and off road safari, it's worth to.join the off road safari, more info and get closer to aninals. Wonderful trip. Great zoo with many animals, tried both safari bus and off road safari, it's worth to.join the off road safari, more info and get closer to aninals. Wonderful trip. We had an amazing guide and the timing for the tour was just nice! The guide even provided us with blankets to keep ourselves warm during the tour! Highly recommend!! We had an amazing guide and the timing for the tour was just nice! The guide even provided us with blankets to keep ourselves warm during the tour! Highly recommend! !